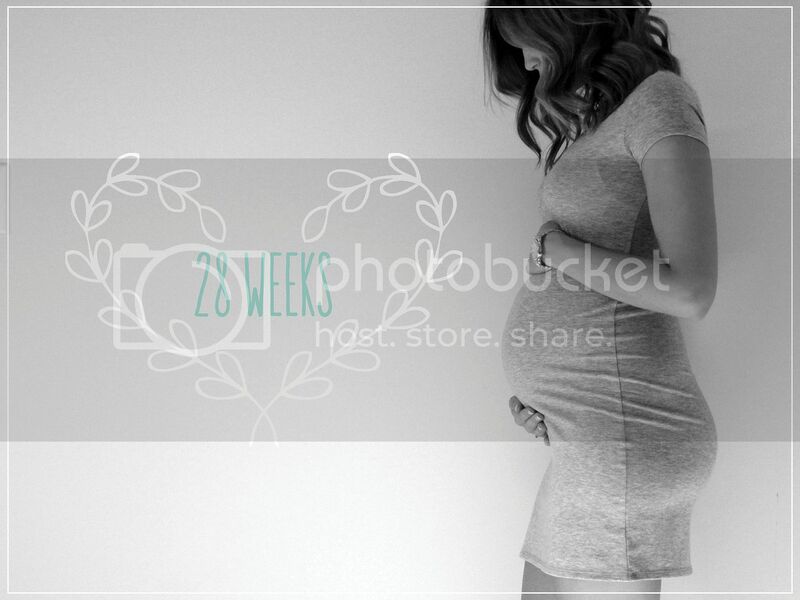 28 weeks, only 84 days left! Holy cow this is unreal. Little mister keeps on growing. He is about the size of an Eggplant! Apparently there is a chance he is going to be a big boy. At my doctor's appointment they told me my stomach was measuring bigger than average (from pelvic bone to top of bump). I was slightly shocked, but not worrying yet. If I keep measuring big then they might do an extra ultrasound to measure him early. About twenty-ish pounds. Sometimes more sometimes less. I am definitely having trouble sleeping, not just because of bathroom breaks but because I just cannot stay asleep. He is also for sure causing my lungs to get crushed a bit. Taking a deep breath is challenging and satisfying now. For the most part though I am still going strong and no real complaints. Thank you Lord for taking care of me so far, and I pray it continues. We are having a little boy! The reveal story is here. Oh yes, normal things are a struggle now. Really though I love maternity pants, they are so much more comfortable. Plus eating with an elastic waistband is the best. I went and got some maternity tops too. The small maternity wardrobe is filling out. Cookies are still a pretty big thing for me. I haven't really been craving, craving anything else. Occasionally something fruity but not strong. After this last appointment the idea that he could come into this world earlier than expected is causing a bit of anxiety/fear. Not anything crazy but the idea that he could be here really in less than 12 weeks is not something you seriously think about until the doctor puts it in your head. I am done with shots! At my appointment yesterday I got my flu shot and my whooping cough shot. Arms are sore but worth it. We are done now until after he is born. If he ends up being rh+ then I will get another Rhogam shot, if he is negative like me then its all good!